What's a Jesus-like disciplemaking way of life look like for regular people? 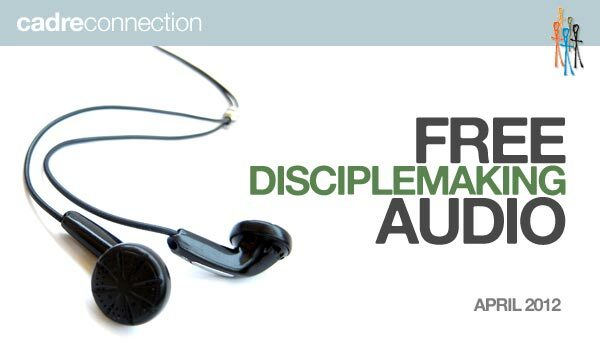 What happens if we disciple someone who doesn't make more disciples? Why must disciplemaking start with our own families? What's the difference between discipleship and disciplemaking? Are you ever too old to invest your life in disciplemaking with the next generations? If you've ever wondered about any of the above, then you'd probably enjoy this FREE, brief, free flowing, and substantive audio conversation. Go here to download the mp3 for your iPod and sharing freely with others. * If you want more on Jesus-like disciplemaking and Disciplemaking Learning Communities, go here.